Mouse sperm stored aboard the International Space Station (ISS) for nine months has been used to produce healthy pups back on Earth. Japanese researchers sent freeze-dried sperm to space to understand the long-term effects of microgravity and radiation exposure on mammalian reproduction and development. The sperm were stored at -95ºC, with researchers also using 'ground control' sperm from the same mice, stored in the same conditions on Earth for the same duration. 'We found that only a few short term studies were performed about mammalian reproduction in space, and most of them showed no clear results due to the difficulty of taking the mice or rat into space,' Professor Teruhiko Wakayama of the University of Yamanashi, who led the study, told National Geographic News. Cosmic radiation on the ISS is about 100 times greater than that on Earth, and increased radiation exposure is known to increase DNA damage in somatic and gamete cells. Once returned to Earth, the mouse sperm were compared with the control samples and assessed for damage; this included analysing their morphology, DNA, their ability to be used in fertilisation techniques, the in vitro development of subsequent embryos produced, and the normality of their offspring. The findings showed that under light microscopy, there was little difference in the morphology of the space or control sperm. However, when assessing DNA damage, there was a slight increase in damage in the sperm from space. This finding is to be expected given the known influence of radiation-associated DNA damage. While there was a difference in levels of DNA damage, when injected into mouse oocytes using artificial reproductive techniques and then transferred into recipient female mice, birth rates were found to be similar using space and control sperm. Additionally, the genomes from the space and control pups were genetically similar, suggesting that the DNA damage observed in the sperm was repaired after fertilisation. Once the mice sired from the 'space' sperm grew to adulthood, a select number were allowed to mate and breed. All mating couples produced offspring, demonstrating normal fertility. The team behind the research are planning further experiments to determine whether fertilised mouse embryos can develop normally in space. 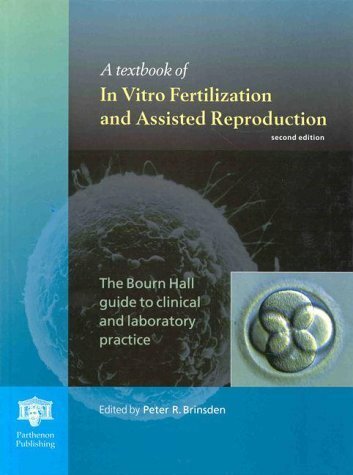 Furthermore, investigations using cryopreserved human sperm will be assessed after space storage to determine whether DNA damage and morphology can be used to determine success of artificial reproductive techniques. Professor Wakayama ultimately hopes once more is known about how a microgravity environment affects mammalian fertility and development, that technology could allow the storage of biological samples in space - to act both as a failsafe in case of total catastrophe on this planet, and as a recipe book for producing familiar forms of life beyond Earth as space exploration develops.